Latest News: Pfeiffer Property Investment Advisors Newcastle - Will Brentwood Forest Fuel Your Future? Will Brentwood Forest Fuel Your Future? We’ve featured Springfield in the past, and the area continues to flourish. It’s fast becoming the second CBD of Brisbane, is only 30km from Brisbane’s CBD, while the new train line connects to the city within 35 minutes. With its own hubs of education, technology and health providing local employment, Springfield is a prime example of master-planned development done well. 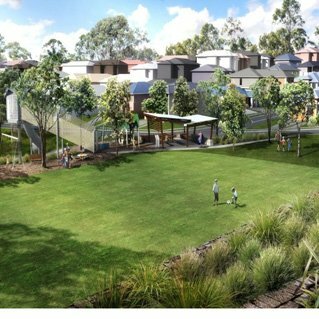 Brentwood Forest, only five kilometres from Central Springfield, is a master-planned community in an area surrounded by easy access to schools, such as the brand new Bellbird Park State Secondary College, and Kruger State School. A new IGA is being built at nearby Augustine Heights while the shops of Redbank Plains are an easy walk. With a blend of natural ambience and urban convenience, it appeals particularly to young families. This turnkey house and land package with a 4 bedroom, 2 bathroom, 2 garage home specifically built to Queensland conditions, is set on 394 sqm of low maintenance land, just enough so residents won’t feel they’re living on top of the neighbours without creating the maintenance costs associated with large blocks. Priced at $498,500 and with a market rent of $420 per week, this is a great opportunity to start out with a high-quality property investment.